STABLEMATES 1:32 Scale. 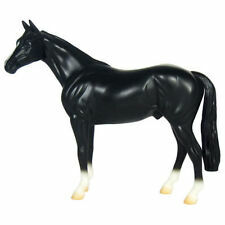 Breyer - maker of the World's Finest Model Horses Since 1950 . DUN ALBROROZO. 2019 MYSTERY HORSE SURPRISE SERIES 2. HORSE MODEL. Horse model is new and unused. Quality hand painted horse model . Scottish Highland Cow Keyring. Design on one side of the keyring only. 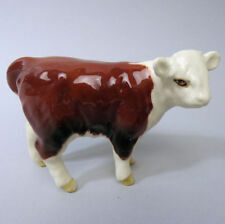 Size of the cow is: 3cm x 2.5cm. HARE GLASSES CASE. SIZE OF GLASSES CASE 17 CM X 7 CM WILL HOLD REGULAR SIZE GLASSES. LINED & PADDED. GLASSES NOT INCLUDED! EACH ONE UNIQUE. SIZE APPROX 18 X 7 CM. Britains Farmyard Welsh Black/. Aberdeen Angus Cattle. 2 Cows & 2 Bulls. NEW and UNOPENED BOX. Schleich horses Bundle. Mare and foal. Excellent condition. Dispatched with Royal Mail 2nd Class. Schleich Show Jumper: Schleich horse, rider and tack - Pre onwed. Condition is Used. Dispatched with Royal Mail 2nd Class. 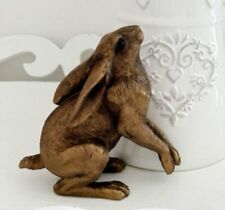 Lovely Bronzed Moon Gazing Hare from the Reflections Collection by Leonardo. 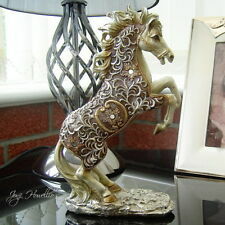 Made from a high quality resin, finished with an antique bronze finish. Hare length 25cm (9 3/4") approx, height 15cm (6") approx. A great gift for any hare or wildlife lover! Pig length 24cm (9 1/2"), height 15.5cm (6") approx. This was an unwanted gift from the famous World of Groggs. breyer horses. Condition is Used. Dispatched with Royal Mail 1st Class. Product Item Number: 5GL443. Each one is hand blown is slight variations can be expected. Hand Blown Glass. BUY THREE GET ONE FREE !!!!! Floral Parade Rabbit. Condition is Used. Dispatched with Royal Mail 2nd Class. 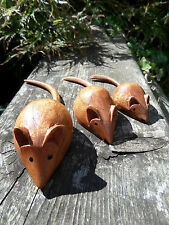 Upcycle your furniture with this wonderful characterful Mr Fox drawer knob made from iron. order must be received by us by 12noon. If you would like to buy more than one item. 6.5cm high x 3.3 cm wide x 3cm deep - length of screw 4.5cm. Horse Head Pewter Pin Brooch -British Handcrafted- Equestrian Pony Dressage Farm. Horse Head Pin Brooch Hand Crafted by a British Artisan in English Pewter. Fitting to reverse of spike with compression collar. It is really beautiful, The cockerel is a pure black colour all over the head and body and it has black wings and tail feathers. It is really very nicely detailed. 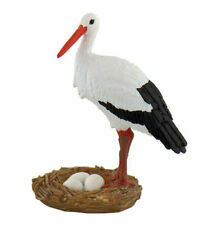 It has a red comb and wattles, nice detailed eyes and a black beak and feet. The hen is really tiny and is really beautifully detailed, It is a brown coloured hen on the head and start of the body with the lower body black and the tail is a mix of turquoise blue and green.It is really very nicely detailed. 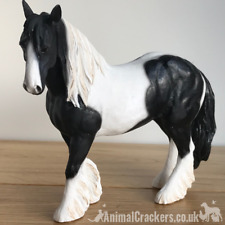 Schleich horses - 2 beautiful horses in excellent condition . Condition is Used. Dispatched with Royal Mail 2nd Class. 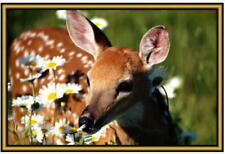 Fawn Rabbit. An Original counted cross stitch kit by Fido Stitch Studio. This ‘mini’ stitch kit could be completed in a few hours. Pre-sorted Anchor embroidery threads. This kit contains everything you need to complete your project. Good condition just a few nicks to the base. Cash on collection is accepted. 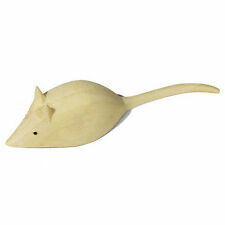 Perfect for console tables, display cabinet, mantlepiece, book shelf etc. Vintage Toy Horse Marked GC. Sold as seen, I do not know anything about toy horses. Height is approx 16cm and length approx 23cm. Condition is Used. Dispatched with Royal Mail 2nd Class. The brown has lighter and darker marks to give the impressionof texture. The hens face is a light flesh colour It is really very nicely detailed. It has a red comb and wattles, little eyes and a golden beak. 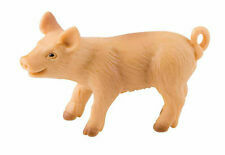 Perfect pig lover gift for indoors, yard or garden. 23cm (9"), width approx. 30cm (12"), depth approx. 15cm (6"). Made from resin so can stay outdoors all year round.